What happens if you confuse Red Hot Chili Peppers with a bag pipe band called The Red Hot Chilli Pipers? You may know the famous alternative band, Red Hot Chili Peppers. A client emailed me recently to say she’d been looking at their videos on Youtube. She was looking at one clip that featured bag pipes and thinking Flea and the boys looked a little less gaunt than usual. But, somewhere along the way, maybe after a video or two, she realized she was watching The Red Hot Chilli Pipers. She had been duped! This wasn’t the band she was looking for. You’ve heard about brand confusion – this was band confusion. And it’s made worse by Youtube’s autocorrect spelling feature that seems to pull up both bands in search results for either name. Turns out The Red Hot Chilli Pipers are a popular Scottish bag pipe band. I kid you not. Check out their amazing covers of Thunderstruck, We Will Rock You, and Chasing Cars. My client wanted to know how on earth this was possible. How could there be The Red Hot Chilli Pipers in a world where Red Hot Chili Peppers no doubt trademarked their moniker long ago? My first thought was maybe that the Peppers never trademarked outside the US, although this seemed unlikely to me. A quick search of the UK trademark database revealed that the RHCPeppers registered their trademark in 2002. (In fact, they made several filings for different intellectual properties related to their name.) The RHCPipers, on the other hand, attempted trademark registration in May 2011. I thought about this for a bit. It seemed a bit unusual that the Pipers had gone to the trouble of filing, but then withdrew their application. I assumed that the Peppers must have got wind of it and blocked the submission. Some cyber sleuthing reveals that the Red Hot Chili Peppers’ lawyers posted about the trademark situation and brand confusion. (Or is that band confusion?) It sounds like the Pipers can call their band The Red Hot Chilli Pipers because it falls under the realm of parody, but that perhaps they are unable to register their trademark or perhaps even sell wares under that name. Let this be a lesson to all of us. If you go to the trouble of creating and marketing an intellectual property, make sure you can use it. In the case above, there’s no doubt in my mind that a pipe band playing on the name of the Peppers probably got more fame than one with a more bland name. But, with success, they now may be stuck with a name that they can’t legally use on t-shirts or merchandise. And t-shirts and merchandise are the main source of revenue for most independent artists. Worried about the economy? Don’t be. When you’re a consultant you’re in control. You create your own business, your own contacts and your own client list. 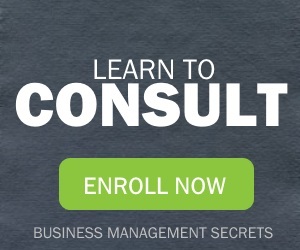 Being in control is one of the many reasons why consulting rules. Fewer employees in the workforce mean that there are unmet company needs that can’t be filled by regular employees. When the economy is threatening to go sour many on-the-fence consultants looking for a change take the opportunity to get back into the regular 9-to-5 workforce. Many companies are hesitant to take on new employees during so-called “bad” economic times and turn to consultants instead. During a shaky economy companies tend to get serious about marketing and planning their future. This can mean more work for consultants who offer strategic advice. If your regular source of work dries up during tough economic times it can be a great time to tweak your primary target market. Try government or healthcare or other industries who are less affected by the economy. Downturn in the economy? Consider the market and whether that downturn has opened up a new opportunity in your service offering. 7. More time on your hands? Get focused. Finding yourself with a gap in your schedule due to a slow economy? Take the time time think. Have you been too reactive when it comes to accepting new clients? Why not take this opportunity to go after the clients that you really want–rather than take the jobs that come knocking on your door. If you’ve been running from project to project without a chance to catch up or plan strategically, get serious about your business and go after the clients that will really take your business to the next level. Many consultants take few vacations and operate on a boom and bust schedule, often working erratic schedules if they are driven to grow their business. Finding yourself with a bit more free time? Relax. And take a moment to catch up on your work-life balance. So don’t get sucked into worrying about the economy. Focus on the opportunities that are out there and how you can provide value in your industry. Do you agree with these 8 reasons the economy means opportunity? Marketing – Do you look at marketing as a necessary evil? If so, stop thinking of marketing as a necessary evil. Instead, start thinking of marketing as an exercise in self nurture. When you think about "marketing," do you think of expensive advertisements, pushing your business on others or awkward business card exchanges? Do the words "cold call" send shivers down your spine? If so, you need to flip marketing on its head. As a consultant, marketing doesn’t have to be a hard sell; it can be subtle. Marketing can be as simple as intentionally expanding your network of friends and contacts. As I wrote in a recent article, becoming a consultant is as much about knowing stuff as it is about knowing people. Think about it. When was the last time you hired someone to provide a service for you? Odds are that you hired someone based on who you know–for example, someone in your social circle–or from a referral made by a friend or colleague. Expanding your social circle can be very self-nurturing. We are social animals, even those of you who consider yourselves shy. 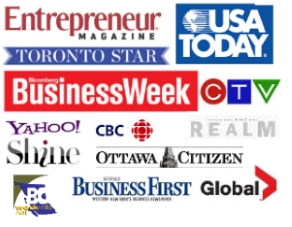 Needing to expand your network for marketing purposes can be an excellent reason to connect with inspirational, like-minded entrepreneurs and colleagues. And there are few things as pleasurable or self-nurturing as meeting new friends who share similar experiences, such as running their own consulting businesses. Don’t get me wrong. There is nothing wrong with cold calling and sometimes it’s necessary. But there is no need to think of marketing as a hard sell where you push your services on absolute strangers. Instead, approach marketing as a reason to expand your network and enjoy some much needed social interaction during the process. When it comes to your personal and business brand, your professional email address may be undoing all your hard work. Over the years, I’ve seen a lot of email addresses – and I’ve had a chance to make observations through the eyes of hiring manager, consultant, client, volunteer and colleague. Most of those people may not profile as “business” or “professional” contacts, per se, but they’re part of your network and thus your professional life. In fact, even if you’re on mat leave, still in college, backpacking, vacationing, parenting, socializing or otherwise wearing your “non-career” hat, the contact you make may influence your future career and business. It’s all marketing and networking. Too flirty. You’ve got some flirty, cutesy or otherwise goofy email address, leftover from college, your Internet dating days or a drunken moment at Gmail – hotsexythang@domainname.com and coolseattleguy@madeupdomain.com. Shared with your life partner, meaning you have no separate identity, control issues, a domineering partner, computer skills too weak to manage your own account or some other “issue” people dream up – robandjulie@mytownslocalISP.com. Too generic. You put a date in your address to set you apart – jane2007@gmail.com. Make you look less than brilliant. Unless you’re flickr, a modified spelling looks like you either created your address in desperation or that you can’t spell – consltnt@gmail.com or propaytner@hotmail.com. Unbranded. If you have a business or a professional career, it’s a mistake to use a generic email account, such as Hotmail or Yahoo – newyorkfloriststore@yahoo.com or rsmith.consultant@hotmail.com. Spam filter nightmare. Many email filters are set up to look for numbers, underscores, and superlative adjectives. Even if you can handle the branding issues, your email may end up in the junk mail bin – angela_coopersmith1980@gmail.com. Change the name of your existing email account. Your ISP may help you. Or you can easily set up a new Gmail account. Set up additional profiles if you use Microsoft Outlook. Forward all your email to the account you check most, if you don’t know how to set up more than one profile on Outlook or your smartphone. Purchase a domain name and set up an email address to match. You can do this even if you do not run your own business. Consider jane@realestatemagic.com or dsmith@atlantabanker.com, for example. Click here for my preferred provider – I’m an affiliate. I wrote this article on common email address mistakes because of a random discovery on LinkedIn. For years, I’ve recoiled in mock horror upon seeing women sharing their husband’s email addresses. But then I saw something that shocked me even more. For whatever reason, it seemed even worse than the usual email address mistakes. I saw a husband and wife sharing a single LinkedIn account. It made no sense to me. Why would you share a career profile on a virtual resume site? It boggles my mind. But more on LinkedIn (and Twitter) later. What deadly email address mistakes have you spotted? What tips do you have? Note: all email address given are fictitious and were generated for the purposes of this article. No connection to a real living or dead person or existing or closed business is made or implied. Any connection is purely coincidental. 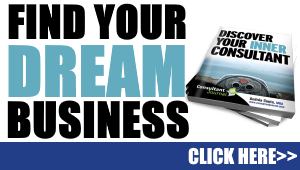 Why Strive for Multiple Income Streams? The Dreyfus model of skill acquisition is a helpful concept to understand when interested in building your expert status. The Dreyfus model was developed at the University of California during the 1980s, and this model of skill acquisition is still relevant today. The basic premise of the Dreyfus model is that students progress through five stages of expert status in this specific order: novice, advanced beginner, competent, proficient, and expert. Novices adhere to specific rules. Novices do not think outside the box, nor do they exercise "discretionary judgment." Advanced beginners take a more holistic approach to the project at hand than do novices, but advanced beginners have a limited understanding of the big picture. Competency is achieved when you start deliberately planning your projects and when you have created routines and structures in your work. Proficiency is achieved when you can effectively prioritize different elements of your project. You know that you’ve reached proficiency when you truly grasp the whole of what you are trying to achieve. In the words of the authors, experts possess an "intuitive grasp of situations based on deep, tacit understanding." Experts forego rules. Instead, they make decisions based on analytical approaches. Are you interested in learning specific, actionable tips that will help you jumpstart your expert status from novice through to expert–just like in the Dreyfus model of skill acquisition? Get Six Tips for Jumpstarting Your Expert Status for free when you subscribe to Consultant Journal’s newsletter. Whether you are a just getting started as a consultant or whether you’re a seasoned veteran, chances are you will need a consulting website. Gone are the days where a business card will suffice when it comes to marketing your consulting business. You’re going to need a website. The good news is that building a website is not as expensive as it used to be. And websites are becoming easier and easier to update and use. If you are in the early stages of getting your consulting website set up, I suggest finding an IT consultant who is familiar with "WordPress" and having your consulting website built on WordPress. What is WordPress? WordPress started out as free blog publishing software, but it is now used for more than just blogs. In fact, WordPress has been used by the Wall Street Journal, Ford, universities and many other large organizations. So, why build your consulting website using WordPress? Here are the top three reasons why you should build your consulting website using WordPress. WordPress is free to use and inexpensive to install. Most IT consultants and firms are familiar with WordPress, and setting it up for you is a snap, which is generally reflected in the price. Quick tip: Ensure that your WordPress site is installed on your own domain name (for example: www.yourbusinessname.com) rather than at the free WordPress blogging site (for example: www.yourbusinessname.wordpress.com). WordPress is easy to use. And its popularity ensures that there are many online tutorials available for free. These tutorials can help you learn how to update your own website without having to rely on your IT consultant for every little change, such as changing your phone number or mailing address. If, in future, you would like to change the design of your consulting website, it will be easy to change because WordPress is standardized. You can easily buy new designs for your website, which most IT professionals should be able to install for you. Are you looking for an IT professional to help you build your consulting website using WordPress? 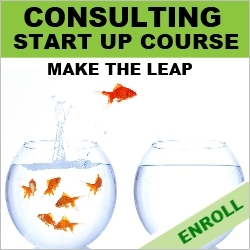 Check out the consultant directory. When you own a niche you are perceived as an expert in that niche. (And you will become an expert in that niche over time, if you aren’t already.) Customers feel more confident when they perceive you as an expert, and it’s easier to stand out in one area. We’ve all met individuals at networking functions who stammer, "I’m a creative writer, but also do social media. And I love helping businesses with their financial books. And I sell audio files on the internet." When we hear someone with such a diverse range of interests and skills, it can be difficult to know what type of work to hire this consultant for, so we don’t end up hiring them at all. On the other hand, if we meet someone with a very specific skill-set, such as, "I’m a fitness coach for pregnant women. 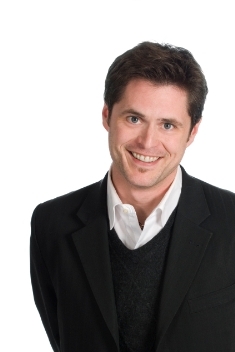 ", we may not need these services right away but we associate this consultant with a specific area of expertise. And when we have a need for such services, even years later, we will remember the specialist and seek her out. When you own your niche you understand who your customers are. If you are an interior designer who specializes in the restaurant industry your customers are high-end restauranteurs. But if you are a general interior design consultant your customers are all homes and all businesses, which can be difficult to market to and stand out in. When you own your niche and understand who your customers are, by default, you know where to market yourself. Advertising dollars are better spent and your message gets out to specific, potential customers more directly. You want people to associate you with a particular problem or situation. To use a basic analogy, if a man has gutter problems on his home he is more apt to flip to the yellow pages and contact "The Gutter Guy Co." rather than flip to the yellow pages and seek out a general handy man who may not be experienced with gutters–even if his price is lower. The same general rule applies to your consulting business. You want to be a specialist and you want to be known as "The Gutter Guy" or "The High-End Restaurant Interior Designer" or "The Fitness Coach for Pregnant Women." When you own the niche it is easier to rise to the top–be it by word of mouth, in the yellow pages or in the search engine results. Specialists earn more than generalists. It’s a fact! Customers are willing to pay for your expertise. Want to find out more about the elements that effect your rates and how much you can charge? 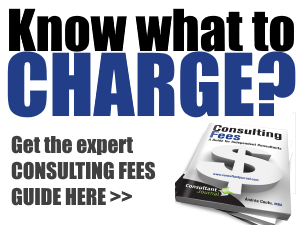 Check out Consulting Fees: A Guide for Independent Consultants. Twitter has really taken off as a business tool. When I was at the O’Reilly Strata conference a couple of months ago, I was really struck by how people in Silicon Valley just take Twitter for granted as a business tool. More recently, at networking events in Vancouver, I’ve been seeing more and more people adding their Twitter handles to business cards, "Hello my name is___" badges and even tent cards at seminars. Far from just a way for millenials and Demi Moore, Ashton Kutcher or Charlie Sheen, Twitter is increasingly a viable business tool. While I’ve been on Twitter under my own name for a while, I’ve recently built out an account for Consultant Journal at @consultantj. I encourage you to follow me and say hi – maybe even ask me a question or two. I don’t bite. I promise. Now, maybe you’re wondering why you should even bother with Twitter. With 140 characters as the limit for a message, what could you possibly gain from this? Well, there are tons of business reasons to bother with Twitter, even if you don’t want to get in the habit of "tweeting" (sending out messages) on your own. Learn from others. You can follow some of the world’s best known business leaders on Twitter – as well as some of the niche masters. Most major influencers are on Twitter, sharing their thoughts. It’s a quick, easy, free way to learn and be reminded of best practices and great insights. Follow the buzz. Even if you’re just a casual user of Twitter, you can find out what others in your world are talking about. That might mean hearing the latest buzz words or it may mean something more serious such as learning that a major prospective client is being hit with financial challenges. Find clients. Many other small and large businesses post their job and contract opportunities via Twitter. And, by engaging with people on Twitter, you may win work. I’ve been able to build some strategic partnerships with people I first met on Twitter. Stay connected. You can send a quick message to business contacts who can "retweet" it to their own followers or find other people to help you. I recently got advice on where to host a business event, simply by putting it out to my Twitter community. Reinforce community. At a business event last week, I met someone who’d recently followed me on Twitter and retweeted something I said. I recognized her face, name and business name and I was able to thank her in person and it gave us a great starting point for a conversation. Impress clients. 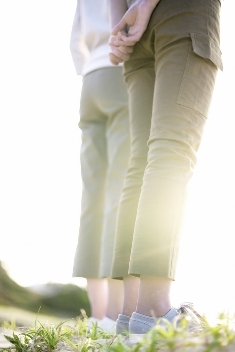 Follow your clients and prospective clients. Learn about their businesses and follow the conversations they’re having with their clients, partners and even employees. You can share this knowledge with your clients and even tap into it in building out proposals or offering solutions. Are you on Twitter? What reasons would you add to this list?